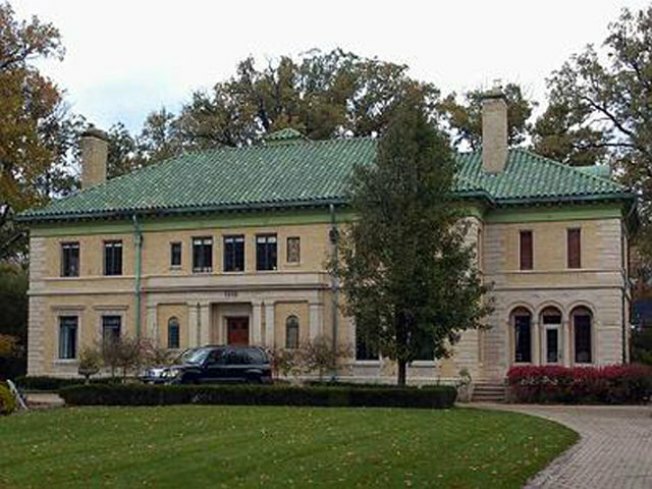 Some Greenwich mansion owners are renting them out instead of selling. In the past few months, the housing market has seen some improvement, but some owners of Greenwich mansions have taken down "For Sale" signs and put up "For Rent" ones. Of course, being Greenwich, these are not your average rentals -- we're talking about $40,000 per month pads. In one instance, a 7,800 square-foot house that been on the market for $4.4 million is now renting for $13,000 a month, Bloomberg reports. If you're surprised by the $13,000 a month, that's nothing. At least one property is going for $42,000 a month! In August, more than 525 houses were rented or listed for lease, Eric Bjork, vice president and sales director for Prudential Connecticut Realty in Greenwich, told Bloom berg. Sales of single-family homes in Greenwich declined 48 percent to 167 this year through July, Bloom berg reports, citing Shore & Country Properties. That puts the town on course for its worst sales decline since records began in 1977. The U.S. Census bureau says Greenwich’s median household income was about $118,000 in 2007, more than twice the national average.